Choegang Schiller strode into the history books at Seoul Racecourse this afternoon, becoming the first ever home-trained winner of the Asia Challenge Cup. Defending champion El Padrino of Singapore put up a valiant effort but he was left with just too much to do as under jockey Lee Chan Ho, Choegang Schiller stole a march on the field entering the home straight and ran on to record a track record time for the distance, beating the Champion by two lengths. El Padrino chased the winner home in second while Cheon Gu, who had gone all out in the early stages in the KRA Trophy at Kranji last month, this time stayed for 3rd. Plenty more pictures to follow over the coming days. 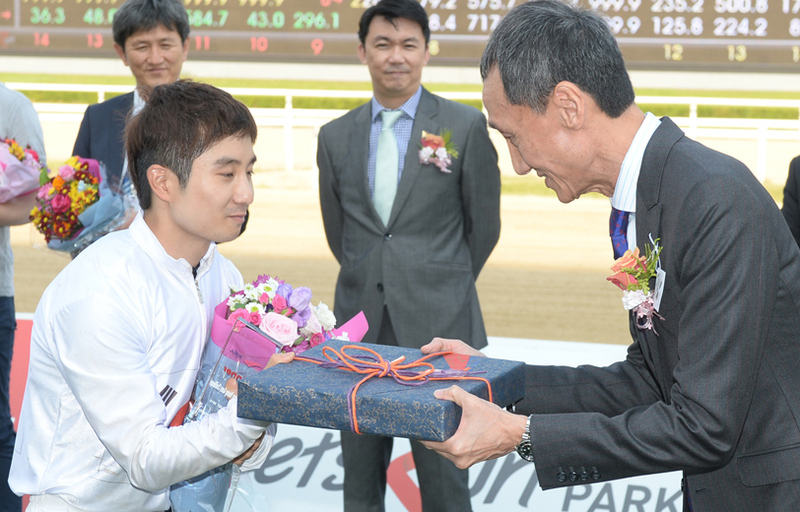 Kim Dong Soo took the top prize in the 7th Asian Young Guns Jockey Challenge, riding winners in two of the four rounds at Seoul Racecourse on Saturday afternoon. Always expected to win the first leg having drawn the plum ride on Nabom, Korean apprentice Kim added another win in round 3 on Ganginhae to take an unassailable lead going into the Singapore Turf Club Trophy. In that race, he would extend his lead by partnering Gasok Bisang to 2nd place behind Hong Kong’s Jack Wong on Yeondu. Macau’s Choi Yee Mo would take the second leg of the challenge, swooping home wide and late on Hwanggeum Sesang. It would, however, be Choi’s last mount of the day as he was stood down with exhaustion after the race. With Choi unfortunately retired, the challenge was Kim’s to lose and he made sure of victory with a round to spare, guiding 7/1 chance Ganginhae to a four-length triumph. The challenge may have bee over as a contest but there was still the most valuable race of the four to come in the shape of the Singapore Turf Club Trophy. And remarkably, the in-form Kim Dong Soo came close in that too, partnering 70/1 shot Gasok Bisang to an improbable 2nd place. He could, however, only get within two lengths of the winner, Yeondu, who was ridden by Hong Kong’s Jack Wong. Kim Dong Soo was the overall winner, ahead of Hong Kong’s Jack Wong and Australia’s Jye McNeil. Defending champion El Padrino is at Seoul Racecourse in preparation for this Sunday’s Asia Challenge Cup, the highlight of the International Racing Festival weekend. El Padrino arrived in Korea last Friday afternoon accompanied by stablemate Happy Money and a third Singapore-trained entrant, Valevole; the latter two replacing originally nominated horses who have been pointed elsewhere. 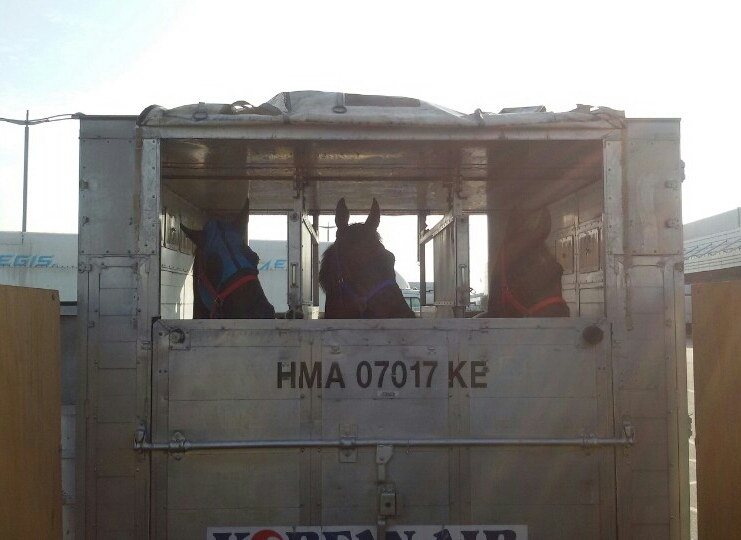 The Japanese pair of Kogyo Douglas and Taisei Legend arrived at the racecourse late last Wednesday. Oscar Chavez will ride El Padrino this year with Danny Beasley partnering Happy Money and Barend Vorster taking the mount of Valevole. Veteran NAR rider Fumio Matoba, who won this race’s predecessor, the Korea-Japan Goodwill Cup on Tosen Archer in 2013, is back and will ride Taisei Legend while Takehiro Kashigawa will be on board Kogyo Douglas. 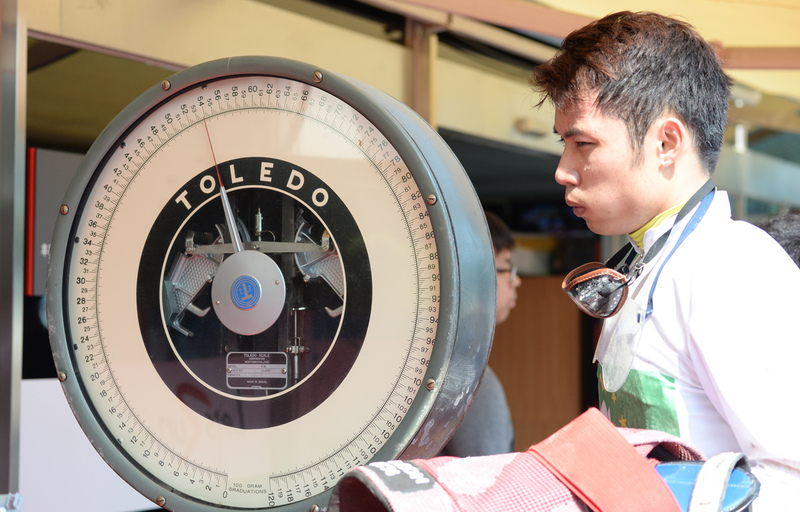 The weekend also sees the Asian Young Guns Jockey Challenge as well as trophy exchange races with the Singapore Turf Club, Selangor Turf Club, Turkey Jockey Club and Horse Racing Ireland. In addition to the Asia Challenge Cup, the Korean Group 2 KRA Cup Classic will also take place on Sunday. 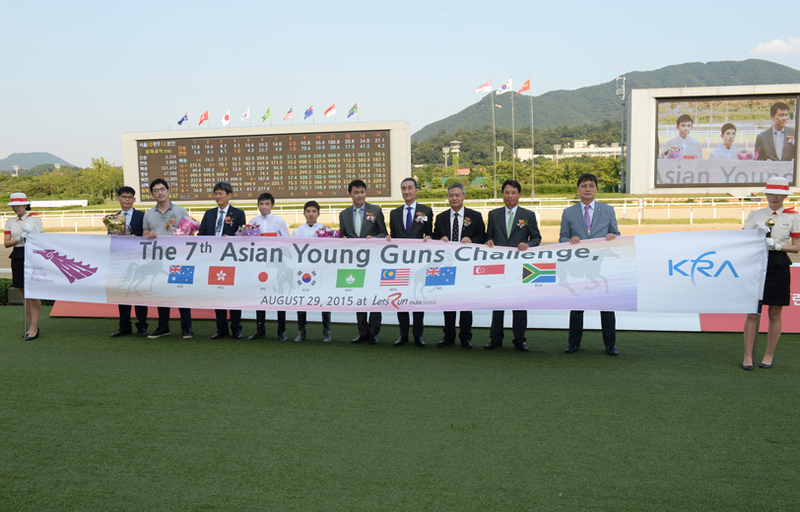 The 7th Asian Young Guns Jockey Challenge will be held at Seoul Racecourse this coming Saturday August 29. Two apprentice jockeys from Korea will be joined by nine others from around Asia, Oceania and South Africa for the four-race series which is being held in Korea for the first time. Asian Young Guns was first held in 2009 at Flemington Racecourse in Melbourne and has since been run in Singapore, Macau, New Zealand and South Africa. Jockeys will be arriving in Korea on Tuesday and Wednesday prior to Thursday’s barrier draw where their mounts will be drawn. The Challenge is the opening event of the International Racing Festival at Seoul Racecourse this coming weekend which also includes trophy exchange races with a number of other racing authorities and culminates in the Asia Challenge Cup on Sunday afternoon. Two horses from Japan arrived in Korea last Wednesday and three from Singapore, including defending champion El Padrino, arrived last Friday. The Asia Challenge Cup will be screened live by the SBS Sports Channel while another big Stakes race, the KRA Cup Classic, will also be run on Sunday to conclude an important weekend for Korean racing. Points will be allocated to jockeys whose horses finish in the first 8 positions, ranging from 25 points for a win to 1 point for 8th as follows – 1st: 25; 2nd: 15; 3rd 10; 4th: 7; 5th: 5; 6th: 3; 7th: 2; 8th: 1 (if a horse is scratched, the affected rider will be awarded 6 points). The four races will be over various classes and distances and will culminate with the KRW 150 Million Singapore Turf Club Trophy. There were two hot favourites for the two big races in Korea on Sunday afternoon and they met with contrasting fortunes with just the one coming home victorious. That was Gumpo Sky. 2nd in the Minister’s Cup, the final leg of the Korean Triple crown last year and also 2nd in the Gyeongnam Do-Min Ilbo, this time the 4-year-old made no mistake in a Stakes race as he led home a small field of five rivals by half a length in the Busan Ilbo Cup. At Seoul it was a different story for Brig in the Sports Chosun Cup. The even-money favourite faltered when exiting the gate and although he recovered to look right in contention turning for him, he had nothing left in the home straight and faded to last. That left 20/1 shot Sotong Sidae to get the best of a tight finish, flying home from last to first in the home straight under Park Byeong Yun to win by half a length from the mare Cheonnyeon Dongan. It was the 4-year-old gelding’s 7th career win from 27 starts but his 6th from his past 10. There’s a big Stakes Race Sunday in prospect in Korea. However, both the Sports Chosun Cup at Seoul and Busan Ilbo Cup at Busan, which will both be run over 2000M, are set to feature strong favourites. Not that there’s anything especially wrong with that although field size for both is disappointing to put it mildly. At Busan, just six will line up for the Busan Ilbo Cup and the aforementioned favourite will be Gumpo Sky. The four-year-old hasn’t had much luck in Stakes company so far, coming very close on two occasions last year, including the final leg of the Triple Crown. Most recently he ran 6th in the Busan Mayor’s Cup over a mile. He should have too much for his five rivals tomorrow though. If he is to be beaten, Ildeung Hanghaesa or Goliath Marine look like the ones who can do it. 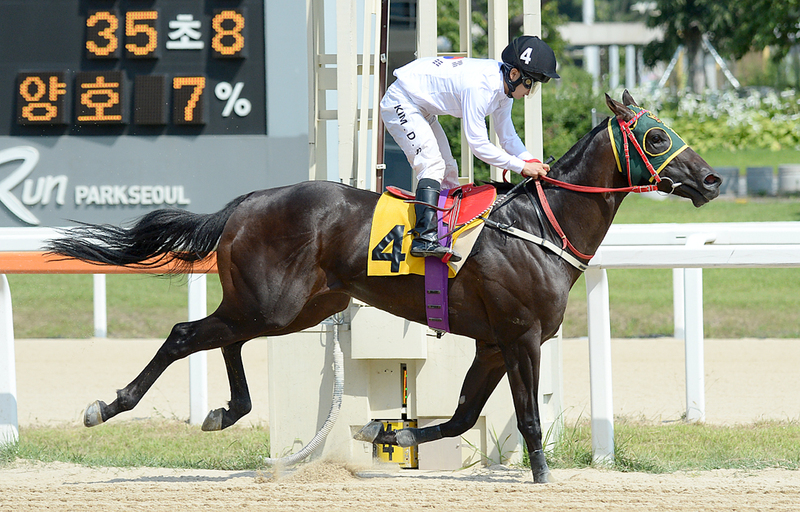 Yeonseung Daero and Gyeongbudaero are two previous winners of the race meaning that the winner has big hooves to fill. A couple of hours earlier at Seoul, eight will have gone to post for the Sports Chosun Cup. Favourite to come back in front will be Brig, a five-year-old who was 4th in the Korean Derby in 2013, and has gone on to become one of the most consistent performers in the capital and who was an 11-length class 1 winner over 1800M on his most recent start. Brig has never won over 2000M before – this is only his 2nd start at the distance – and if that continues, then Haemaru or Busan exile Magic Dancer are perhaps best placed to take advantage. Power City beat out New White Socks in a final furlong duel in the Ilgan Sports Cup at Seoul while things were a little more straightforward for Triple Nine in the Gyeongnam Domin Ilbo Cup at Busan, both races intended as trials for next month’s Busan Owners’ Cup. In the capital, New White Socks, who had broken the 1700M track record on each of his last two starts, was sent off as the favourite. The grey led from the gate but was reeled in and eventually passed in touching distance of the line by Power City, who powered home down the outside under veteran jockey Park Tae Jong. For Power City (Archer City Slew), it was an 8th win from 14 career starts. He and New White Socks (Secret Weapon) finished a full ten lengths clear of 3rd placed Bujeon Jajeon (J.S. Hold). That order allowed the rare case of two of the three place-getters in a big race as being by sires who raced in Korea. 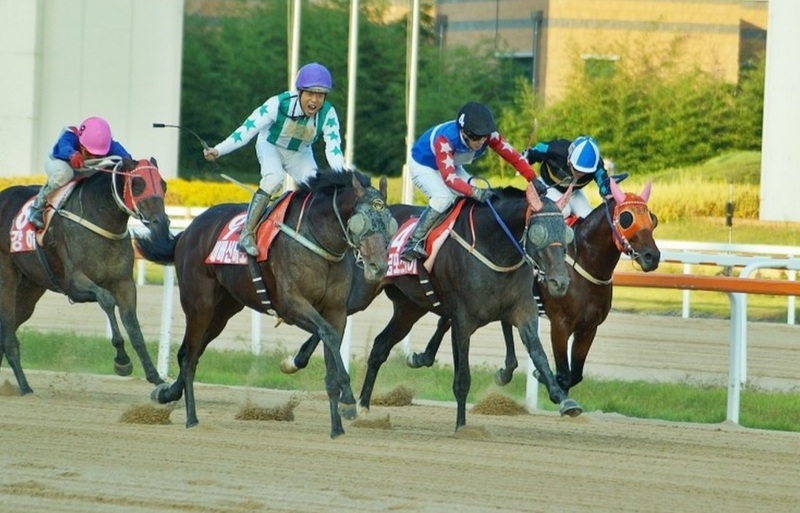 At Busan, Triple Nine, 2nd in both the Korean Derby and the Minister’s Cup, was sent off as the overwhelming favourite for the Gyeongnam DoMinIlbo Cup. And he didn’t disappoint this time, cruising to a four-length win. High Five was 2nd with Oaks winner Jangpung Parang coming home in 3rd having led for much of the race. In other races across the weekend, New York Blue (Candy Ride) was an impressive winner of the class 1 feature at Busan on Friday while Saturday’s main event at Seoul saw a 5th career win for US import Clean Up Joy (Purge). Irish trainer Thomas Gillespie continued his very solid start in Korea with one of his four runners at Busan on Friday coming home a winner, Joiner Captain (Ecton Park) taking race 7 Under Ikuyasu Kurakane. 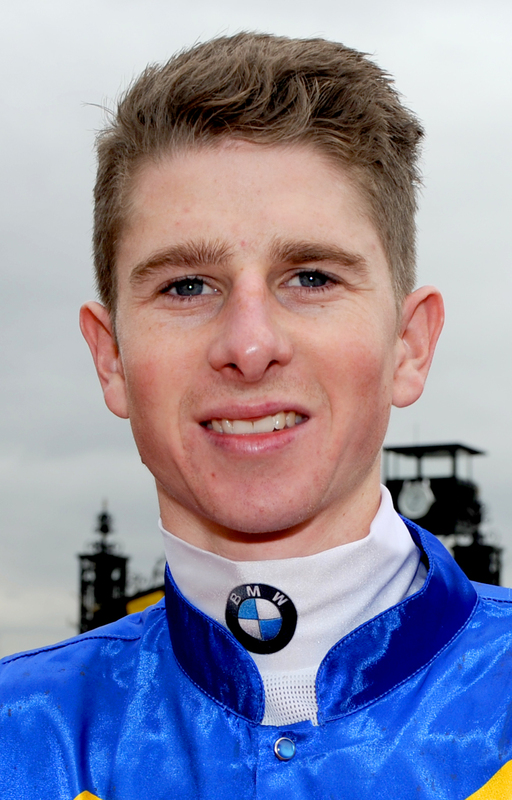 At Seoul, Serbian jockey Djordje Perovic reached 20 Korean winners with a double on Saturday.